The only sustainable future I can see for Cairngorm is to de-couple the Funicular from the skiing infrastructure and return the management to a not for profit community sports group, supported by volunteers. Trying to make money out of Scottish skiing doesn’t work. Coe and Nevis have had fresh falls in the last few days, today and maybe overnight, then predicting dry and increasingly sunny & warming with winds dropping by the weekend. Looks useable on their FB pages. Nice to meet up with Grizzler and Mr Grizzler at the mighty Coe. Only really main basin open and visibility poor but the snow is good and as always, surely the friendliest place in the world to ski. Lots of great skiers boarders and at least 8 telemarketers on the hill today. Lively atmosphere in the cafe as the Grand National is about to run. Looking forward to tomorrow. Nice to meet you again too Peter. Just got back - nasty 2 car and motorhome smash on A82 at Bridge of Orchy, so had to divert home via FW, Laggan and A9. Hope you get a better day tomorrow; there's still some good fun to be had on the upper mountain in particular. -	Skis on, for skinning up, just above the bottom of The Gunbarrel. -	No escape from the relentless headwind on the ascent – absolutely ferocious and Arctic cold, by we got to the Ptarmigan Restaurant. 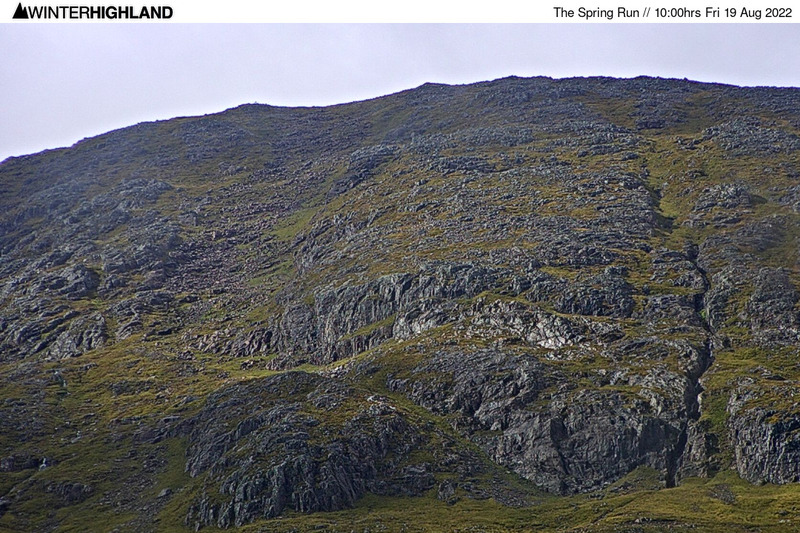 -	No point attempting to drop over the back – the south wind would have blown us back uphill. -	The snow was hard packed at best and boiler plate in parts and, unfortunately, there was no let up throughout the day. Despite some sunny spells, it just never warmed up. Slush had frozen into virtually unskiable/dangerous deep ruts in places but, where pisted (eg from top of Ptarmigan Tow to bottom of Ciste Tow), it was pretty decent skiing. Most of the Cas was good too. We finished via the top Zigzag then ascended to the Fiacaill Ridge where we skied some snow patches on the way back to the bottom station. -	Nice to be out but we were very glad to get out of the wind. Cairngorm needs to pull its finger out. Attach a long trailer to a pisterbully and drag skiers up the hill for £2-5 a ride. A further problem....2 million quid's worth of Snow Factory equipment was bought (with public funding) to cover the lower slopes with snow that could be manufactured in above-zero temperatures. This was to help guarantee access to the one drag lift (the M1poma) that could be used (instead of the train) to get people to the top from the middle station of the train. A decent enough plan - and there was a time, early season where they'd covered a huge area of the lower slopes with manufactured snow. But then the Snow Factory kit broke down - never to work again this season. According to FB, e.g. 7 April, they were actually operating lifts up, or "shuttle-ing" people up to mid-mountain and Coire Cas in a "tracked ATV" , "subject to demand" - no fee was mentioned. I don't know if they're still doing it, though it reported to be popular. Maybe there wasn't enough demand? But as for the Snow Factory cost and subsequent failure... Debacle doesn't even come near, does it? Unbelievable! Minibus shuttle from the car park up to the M1 and Corrie Cas ? Thing is it’s now unusable with kids as M1 impossible to get kids up (I can get my 6yo up on my leg but that’s prob an exception) and even car park t not exactly easy for little ones. Utter shambles. @mountainaddict, do you reckon there would still be any snow around over the May Day bank holidays? My wife has always talked about doing X country (which I really don't fancy) but I think she might enjoy some ski touring, so was wondering about a last min trip up to the Highlands with the dogs. She'd have to hire skis + skins, assuming somewhere would still be open then?? Glencoe is still operating and there is enough for touring if you're willing to carry a bit. mountainaddict, do you reckon there would still be any snow around over the May Day bank holidays? Based on past experience at Cairngorm & Glencoe, I would say yes...BUT it all hinges on the weather (of course); how keen you are to carry the skis to the snow line (currently 20-30 mins at Cairngorm but could be a fair bit longer by May Day); and how easily pleased you are just to get some hard-earned turns in. There's currently about 350 metres of vertical available at both Cairngorm and Glencoe - so I'd say you'd be probably/possibly(??) be looking at at least a couple of hundred metres vertical (possibly more) by then. Don't hold me responsible if all the snow is gone by then though! There are also some fairly mellow and very scenic skiing descents, that generally hold the snow as late as June, over the back of the Cairngorm ski area. Go straight over behind the top of the Ptarmigan Tow, heading slightly left, and you'll not go wrong. Nevis Range would probably have some snow in Snowgoose Gully, on the Summit Run and in the Back Corries in early May - but we've never ski toured there after the lifts have closed to try it out for ourselves. Ski touring's just a totally different day out. Like me and Mrs MA, you might love it and find it really rewarding. It's great to be up there with the place to yourself when the lifts are shut. Looks like Easter Monday will be the last day of UK skiing this year. The last 10 days have had mostly fantastic weather for skiing up at Glencoe. * Day 1 = Dec 1st, 2018. * Day last = Apr 21st, 2019. Just about the worst ski season in Scotland's history. Several months of no natural snowfall. Cairngorm registered its least skiers since records began. Snowfactories seem to have made little difference to the trails at the resorts. I don't know if it's the case, but from what I've read the reason for the Snow Factory kit at Cairngorm breaking down is that the water supply which comes from natural streams on the peaty ground has so much entrained material/silt in it that it keeps blocking the inlet filters? If that's the case it makes you wonder why they didn't foresee that when assessing the suitability of the Snow Factory kit for that location. Also begs the question of how the Lecht and Glencoe seem to be able to operate their Snow Factory kit successfully in what would appear to be similar terrain? @Alastair Pink, presumably they put a pre filter in or something similiar and clean it regularly!! Glenshee might be close in numbers, but in terms of snow and skiable days, 1963/64 still tops the league of shame! Usual Whitegold stuff and nonsense. That I'll give you. The worst since formal mechanised uplift begun with the White Lady Chairlift in December 1961. 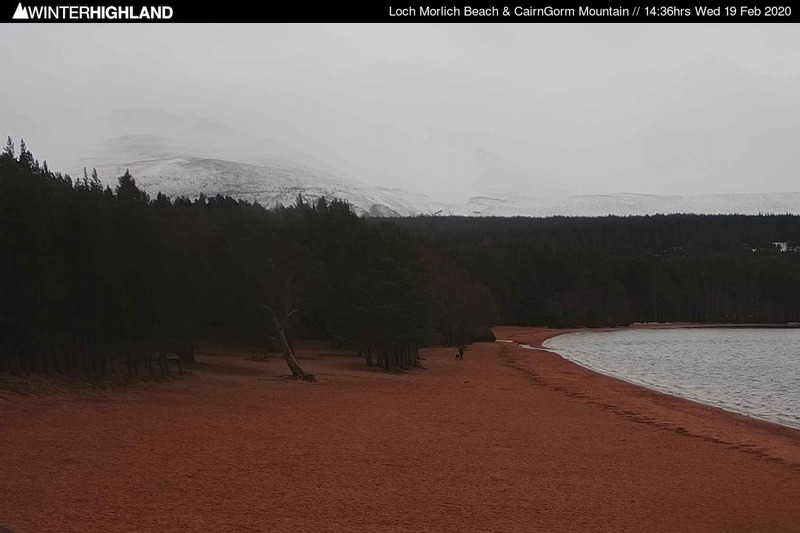 However it has to be said that has absolutely nothing to do with the snow cover or lack of snow cover on CairnGorm Mountain and everything to do with CML. See above. To expand it is increasingly clear the funicular was a disaster full stop, and not just it's current closure! Robin and Wren Magic Carpets at the Lecht were both open over 100 days this season (and there were numerous days it was one or the other so the actual number of skiing days is higher than this). At Glencoe Old Mugs Alley was skiable to the Plateau Cafe (and Cliffhanger) a lot more than would have been the case without the snow factory and despite the farce with the double unit on CairnGorm, had it not been there the days of operation of the Carpark Tow would likely have been either or very close to 0!